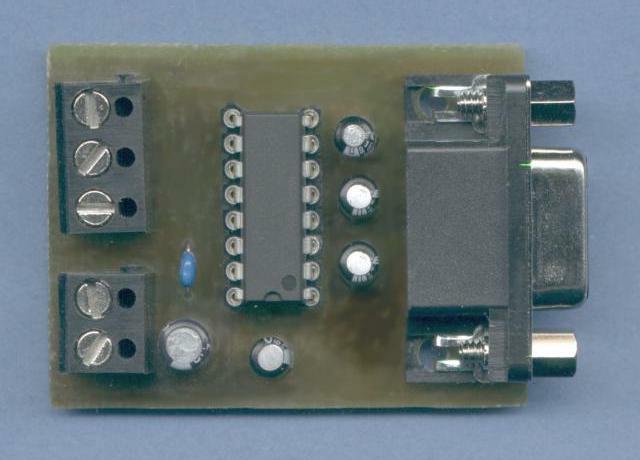 For many microcontroller experiments a converter from TTL to RS232 is needed. 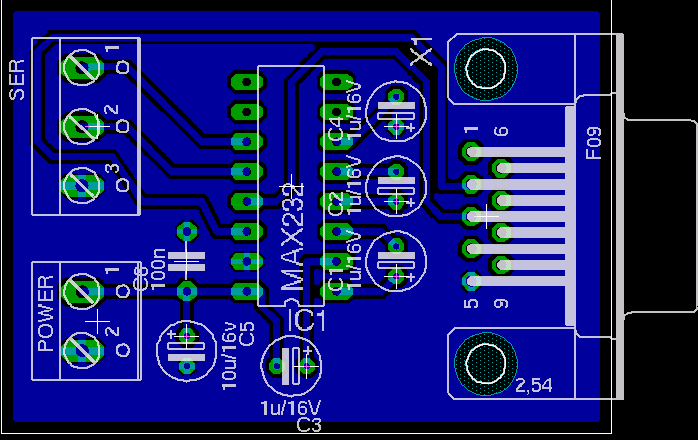 I've made a small PCB for the MAX232 which i want to open to the public. The PCB may be used for your experimental setup or directly mounted into the back panel of a device. Board and Schematic as Eagle files.